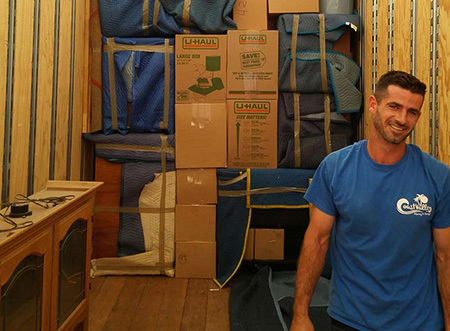 Orange County moving company has been providing moving and storage services to people from all over the world. Recently, Coast Valley Moving has partnered with Move for Hunger, a charity dedicated to donating any food or pantry items from your house to local businesses and churches. Move for Hunger takes the food and pantry items that most people throw out before a move and deliver to local charities and families. Coast Valley provided enough food to supply 115 meals to families in need. Coast Valley donated 149 lbs of food to FAM (Family Assistance Ministries), which was their first donation with the Move for Hunger program. Coast Valley also was ranked in the Top 10 percent for customer satisfaction reports amongst Wheaton Van Lines, Inc. agents worldwide. Additionally, Edgar Flores was named one of the Top 25 sales representatives for interstate shipments throughout Wheaton Van Lines, Inc/Bekins Van Lines, Inc. moving systems. There have many exciting things that have happened in the world of Coast Valley Moving & Storage and that’s because they have been a leading provider of moving services for over 40 years. Coast Valley is also offering 1 Month of Free Storage for new customers. Call and ask for details!